I didn’t have too much reading time last week, though admittedly, it was more a lack of desire to read. 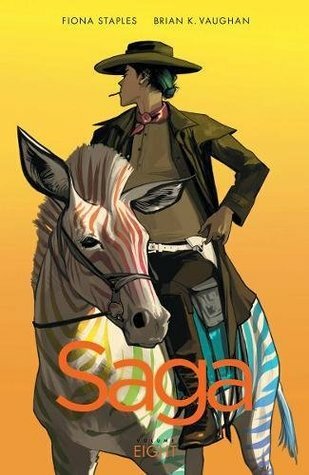 I did manage to read Saga Volume 8. I liked it, but not as much as the previous novels. I’ll be posting a review of this series up to volume 8 in a few weeks. I watched quite a bit of things last week. On TV I watched Homestead Rescue, My 600LB Life, The Incredible Dr. Pol, and Family By The Ton. I also managed to watch the entire first season of Hercules The Legendary Journeys. It was a fairly busy week, yet I feel I did very little. I did get the laundry room 90% cleaned out and organized, though the rest will have to wait until spring so I can get the spare fridge and a couple of other big items out. On the weekend I did some baking, making some homemade buns and dog treats. I had planned to make more things, but I got hit with a cold and had no energy to do the rest. I played a bunch of World of Warcraft as well. Mostly though, I played ping pong, especially on Tuesday when Warcraft was down for 8 hours. The weather was quite nice over the week, which allowed us to take the dog for a walk each day, at least up until the weekend, when freezing rain turned everything into an ice rink. I don’t really know what I’ll be reading this week, but hopefully I will get through a book or two. I have a couple of things on the PVR I want to watch as well as getting through more of the movie/series stack that I have picked out for this month, so I will likely be focusing on those this week. I don’t have any solid plans this week per say. I do need to get some things ready for the boys birthday party, which is happening this weekend, but that shouldn’t take more than a day to do. I think I will probably take it easy, since I’m still feeling the effects of that cold that hit me over the weekend. I had a ton of household chores to do last week — I got a lot of audiobook listening in plus a cleaner house. LOL. I should have listened to an audio book while I cleaned! Good news is I still have lots of cleaning, organizing and purging to do over the next couple months, so plenty of time to listen to them then. Some weeks are like that. Our changeable weather kept me indoors and reading. I’m looking forward to Spring and outdoor walks. Come see my week here. Happy reading! I’m also looking forward to spring. Winter is great for reading and getting things done inside, but the extreme cold and other gross bits of it drive me crazy, so we always take advantage of the nice days to get out. I really need to read Saga. I feel like I’m the only person on earth who hasn’t read it. Have a good week! 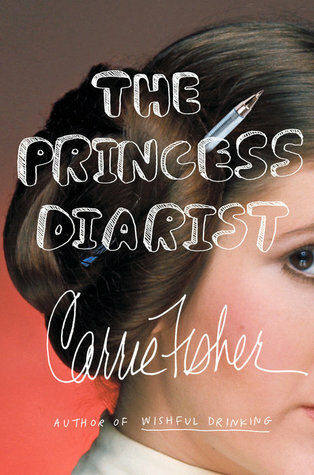 I know a number of people who haven’t read it yet, but yes, you should read it soon.